I’m a Smoker, Please Don't Judge Me - Reclusive Fox ""
It’s embarrassing to admit to the world that I am a smoker, but it’s the truth. You might think that someone with anxiety and panic disorder would be far to paranoid to light up a cigarette but that isn’t the case. Well, it is in a way, which is why I am writing this post. I am venturing to the world of blu e-cigs as I know smoking is incredibly harmful to me and to those around me, so it’s time to move on for the good of everyone. Before we go further I want to tell you about my smoking addiction, just briefly so bear with me. I started smoking when I was 15 – Main reason? My boyfriend smoked. I quit smoking at 21 when I was discovered I was pregnant. It was easy, any cravings I may have had went unnoticed. I didn’t miss it. From around the age of 23 I would have cigarettes if I went out or if I drank at home. I have a panic disorder and I hardly drank so sometimes this meant not smoking for several months or even a year or so at a time. At most I would smoke once maybe twice a year. The following day I was often sick because my hair would stink! I began smoking again properly at the age of 33. My boyfriend smokes but we don’t smoke in the house. I know smoking adds to my anxiety and obviously it’s a deadly habit, the problem is I enjoy it, most of the time at least. I do hate thinking about the harm I am doing to myself, or the occasional rush of panic I get when I know my blood pressure is rising. My partner and I meet up several times in the day (I work from home and he works in the evenings) so we meet up to have a chat and a smoke together every couple of hours or so. When I am stressed with work or facing writer’s block I tend to smoke more too. But I never smoke when I go out for the day, it’s only at home. I have been sent a blu Premium kit to try. While e-cigs are not currently classed as a smoking cessation aid many smokers in the UK are using it as an alternative to using traditional cigarettes or roll-ups (like I smoke). The beauty of e-cigs is that you get the nicotine hit without any of the other chemicals. There’s no tar, there’s no disgusting smell and they are give us smokers an option that could make a difference to how we feel and potentially our health. I for one think that the use of e-cigs has to be better than smoking cigarettes and rollies and it’s something I want to try. 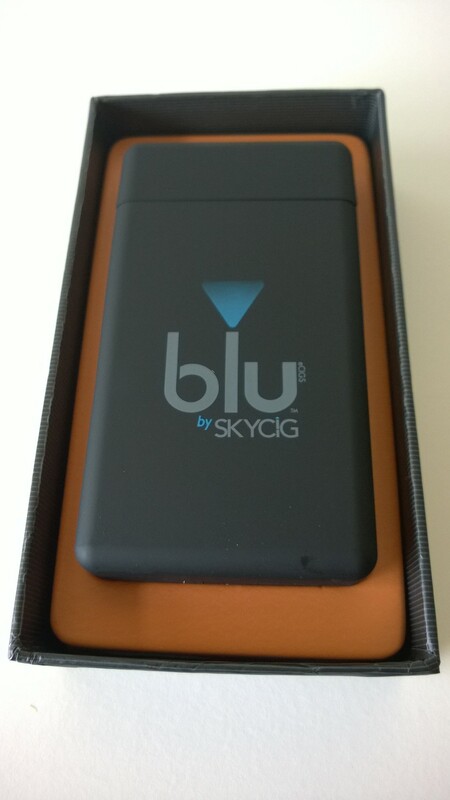 I will be using the blu e-cig (probably alongside the occasional roll-up) over the next week or so and I’ll let you know how I get on and give you some more information regarding the kit. Until then please leave a comment if you have any advice or experience regarding reducing your own smoking or your experience and opinions on e-cigs, I’d love to hear your thoughts. I quit a year ago with e-cigs. I wouldn’t recommend any of the “cig-a-likes” such as Blu or NJoy. They just don’t satify like they should.. Rather, get something like an Ego-Twist starter kit from online or a local vape store where they can show you how to use it properly…. Or better yet, there are tons of youtube videos that can show you plus plenty of forums to do research… The biggest being Electronic Cigarette Forum (ECF). Your initial mg. level of nicotine in your ejuice will depend on how much you smoke… As a pack a day smoker, I started with 18mg ejuice and am now down to 3-6 mg. 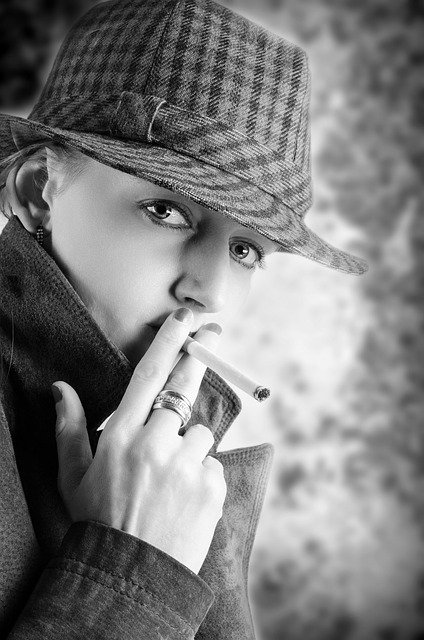 I don’t smoke myself – but so many of my friends do. I think there are worse things you can do, so no judgement here. Good luck with the e-cigs/journey!